How to Arrange a Funeral in Australia? Funeral planning is often something that is put off until a loved one passes away. When confronted with the need to find out how to arrange a funeral, most people are already engaged in the process of grieving—which understandably makes it tough to focus on the intricate decisions required in planning most funeral services. Thankfully, if you need to find out how to organise a funeral, we can help. As a matter of fact, there is an easier way that doesn’t require making a lot of stressful decisions. 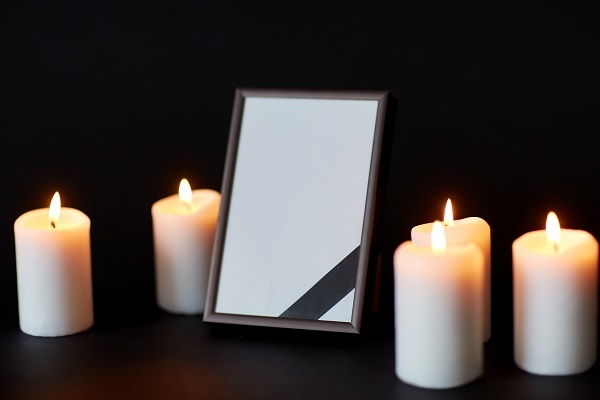 At Fixed Price Cremations, we believe in making the entire process as easy and stress free as possible, so we have chosen to offer affordable cremation services in Melbourne that allow people the choice of doing a funeral service in the way that suits them best. Our non-attended cremation service was created for this very reason, and we have only one simple low cost cremation package with no financial surprises or hidden fees. Why Choose a Non-Attended Cremation Service? Today, more and more people are searching for alternatives to traditional funerals. There are a number of reasons for this, including both personal preferences and financial. Besides the fact that traditional funerals can quickly add up, becoming extremely costly—they are also too elaborate for some people’s personal tastes. As a funeral becomes a larger affair, a lot of small decisions need to be made about how exactly the service will be carried out. Having to do this immediately after losing a loved one, is without a doubt, something most people do not want to focus on. The good news is that there are now options for those who want to take the complications out of the process by choosing a no frills funeral service. This means that their energy can be preserved and focused on celebrating the life of the deceased in a way that best represents them and resonates with their loved ones. What is the Process for a Non-Attended Cremation Service? When you choose our non-attended cremation service, the process begins with a phone call. One of the caring specialists from our team will gently guide you through the application process, which normally takes around 30 minutes. From this point on, we take care of all the rest for you, including the documentation needed for the cremation to take place, the death certificate and the transportation of the deceased person to the crematorium. What is the Cost of a Non-Attended Cremation Service? In Australia, the average cost of a cremation varies. However, our non-attended cremation package is fixed at the low cost of $1,695 including GST. To get a good idea of where our low cost funeral services in Melbourne sit in relation to others, it’s best to make a quick comparison. For a traditional funeral service, you would be looking at paying roughly anywhere between $8,000 to $15,000. This significant discrepancy in costs reveals a big reason why cremation is becoming an increasingly popular choice. Available 24 hours a day, 7 days a week—our team is here to help you. If you would like more information on how to arrange a funeral in Australia, or simply want to begin the process of organising a non-attended funeral package—speak to one of our specialists by calling 1300 262 797.